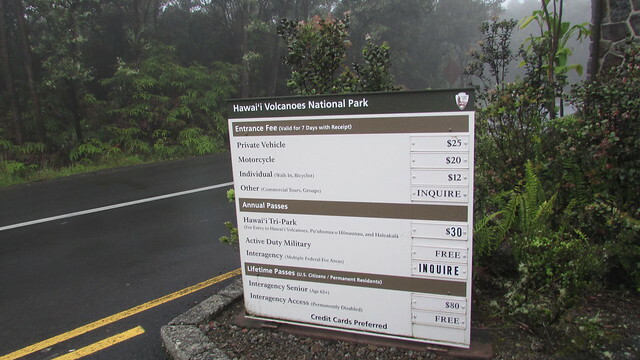 After all the excitement from reaching the Papakolea Beach, off to Hawaii Volcanoes National Park we went. 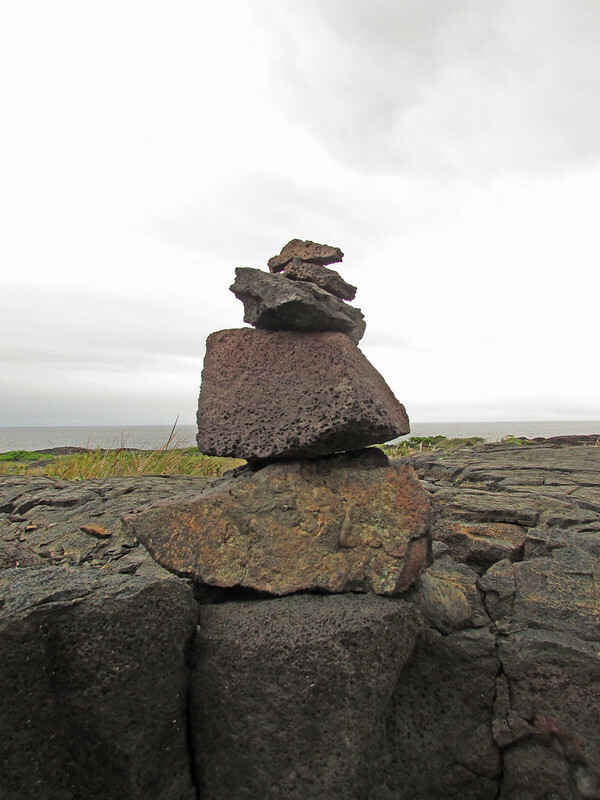 We took the Chain of Craters Road and stopped at where the road ended. 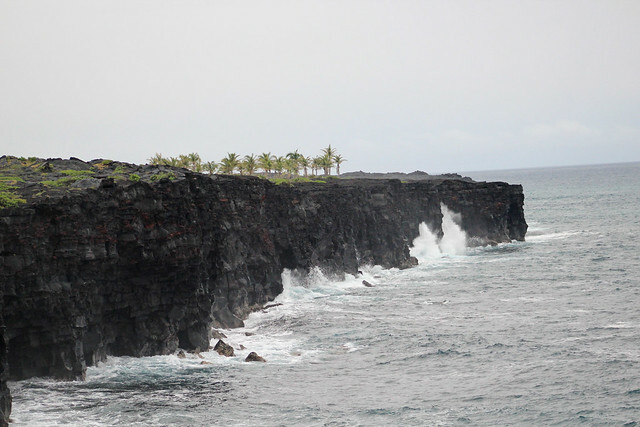 Here we saw lava flow that has dried up and the dramatic cliffs. 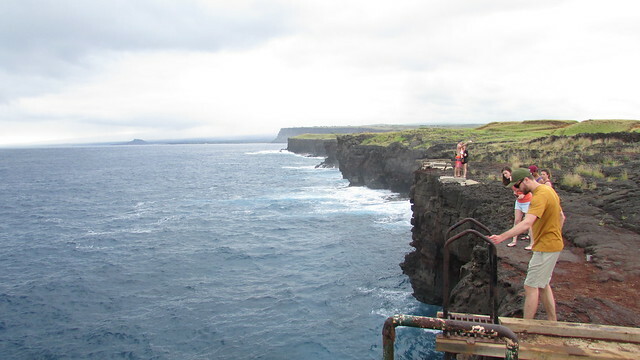 There is also a platform for people who want to jump off the cliffs. No one jumped while we were there, although we saw one coming back up. I could not tell for sure if he jumped off the cliffs and took the hanging steps to climb back up or just climbed down then back up. One said the person did jump earlier. Yikes. The landscape is quite eerie. 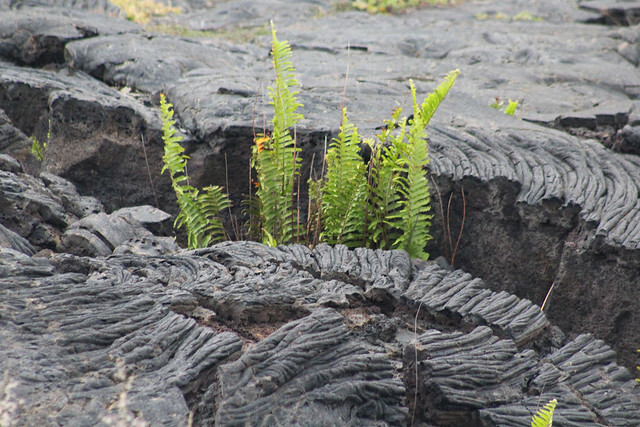 Dried lava flow and plants growing in this inhospitable conditions are just amazing. Then add the stone arch by the water is also very picturesque. I have to be honest here. 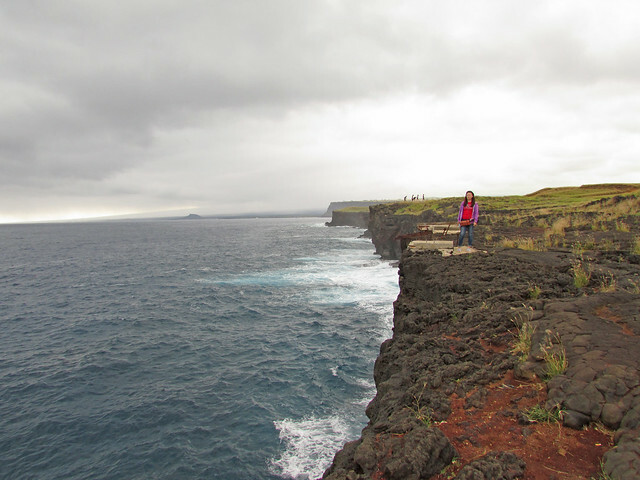 I visited both Ireland and Big Island a few months apart in 2018 and I must say these cliffs are pretty comparable to the famous Cliffs of Moher. Not a joke, I feel like these cliffs give the Irish cliffs a good competition. So before daylight completely disappeared we drove to the Visitor Center. 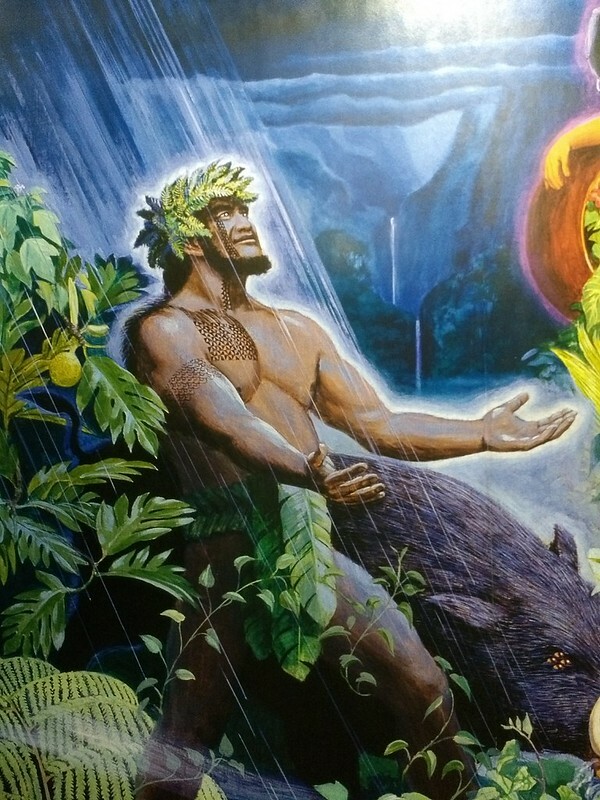 At this time though it was pouring hard, so we thought we'd wait out the downpour. 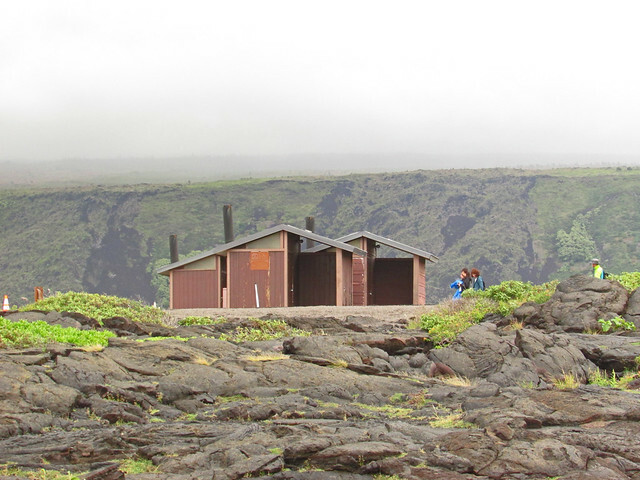 When the rain whittled down to a mere drizzle, off we went to see a lava tube. 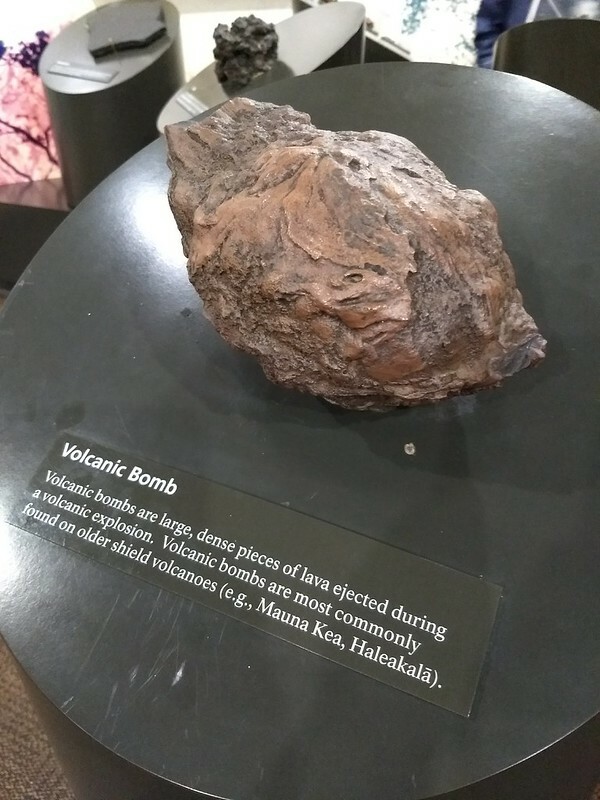 From wikipedia: A lava tube is a natural conduit formed by flowing lava which moves beneath the hardened surface of a lava flow. 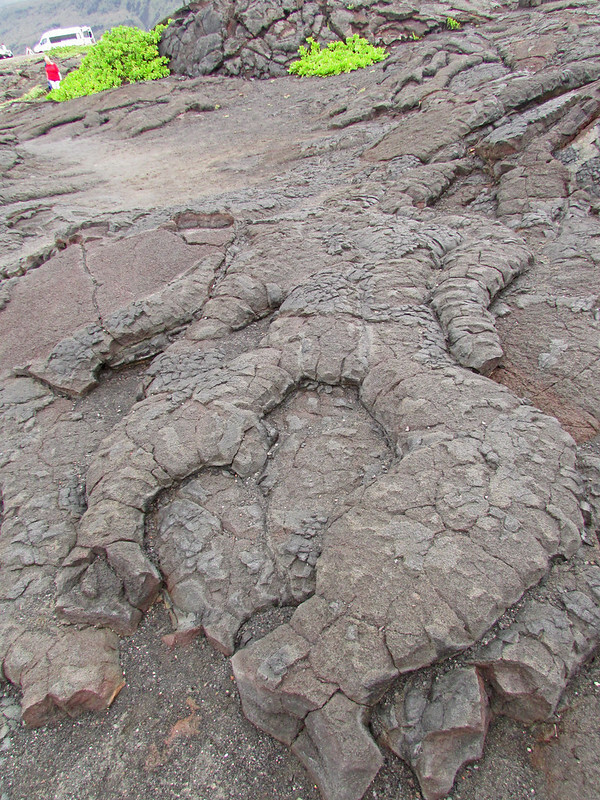 Tubes can drain lava from a volcano during an eruption, or can be extinct, meaning the lava flow has ceased, and the rock has cooled and left a long cave. 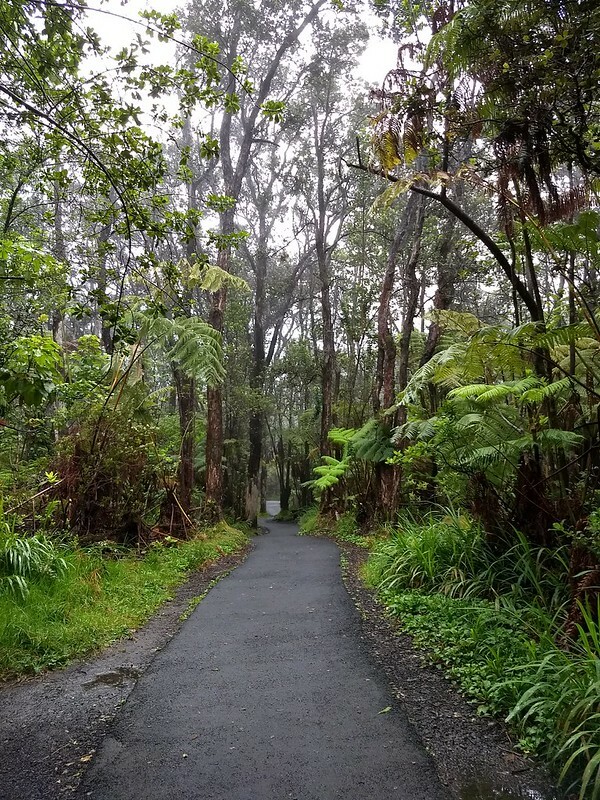 Coming out of the tube, we wanted to see the observatory, but everyone in this part of Hawaii seem to be here today causing massive traffic jam. We were barely moving, and the parking lot was jampacked, so full that they have 3 guys directing traffic out of the area towards an additional parking area 20 minutes walk away. Since we were here we thought we'd go and park where instructed. It was so dark at this point and off the parking lot is a view point. You see nothing but dark. Since this is a lost cause, we thought the view at the observatory would be better so we took that 20 minute walk. While the path was not lit, it was not so dark because there were many people walking the path with the flash light app on. In the observatory, it was a lost cause again. 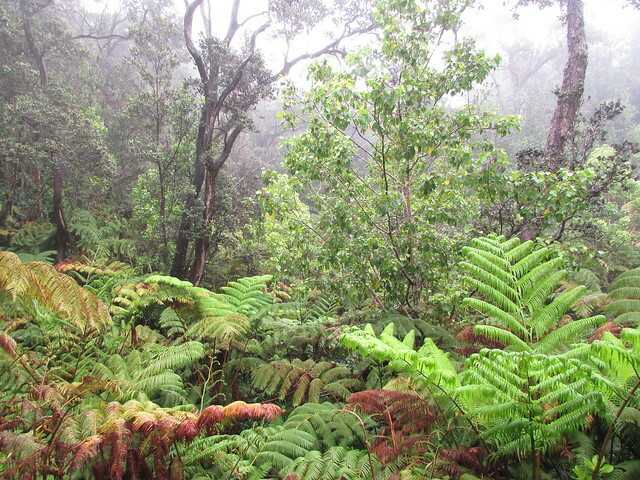 We could not see anything beyond the fog. 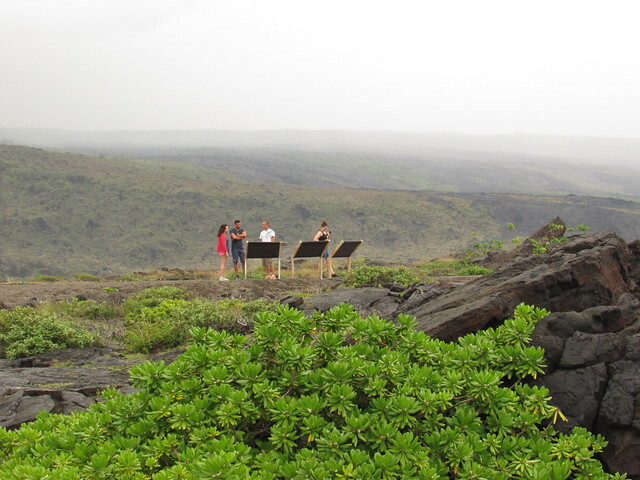 People were pointing to the direction of the crater, but we saw nothing but fog. To make up for our effort, we entered the observatory and looked at the exhibit. An incredible serie of pictures. Beautiful ! 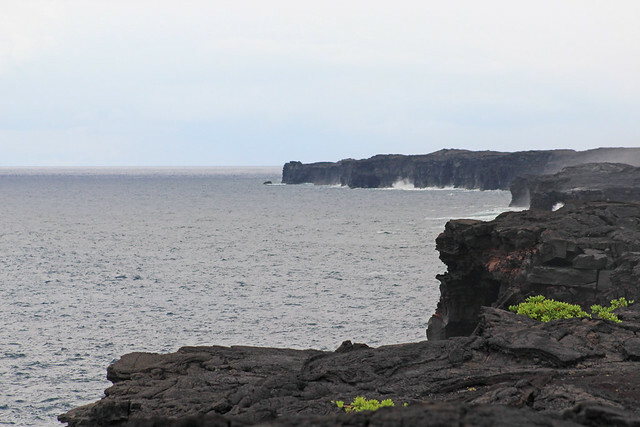 Sure is some spectacular scenery there, especially the coastal cliffs. Beautiful pics. 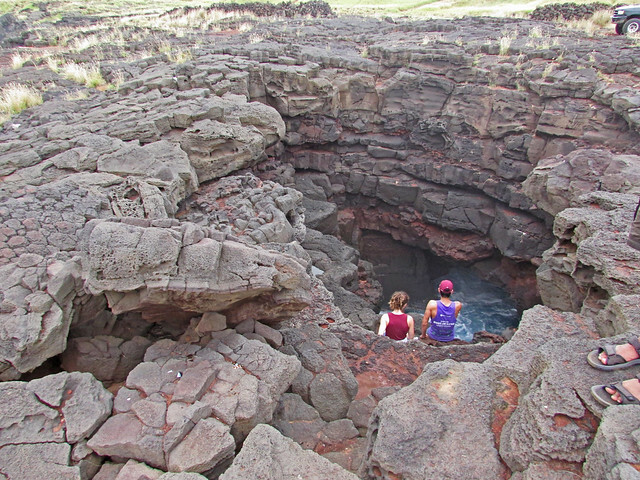 The lava tubes especially are fascinating to me. Such an awesome location. 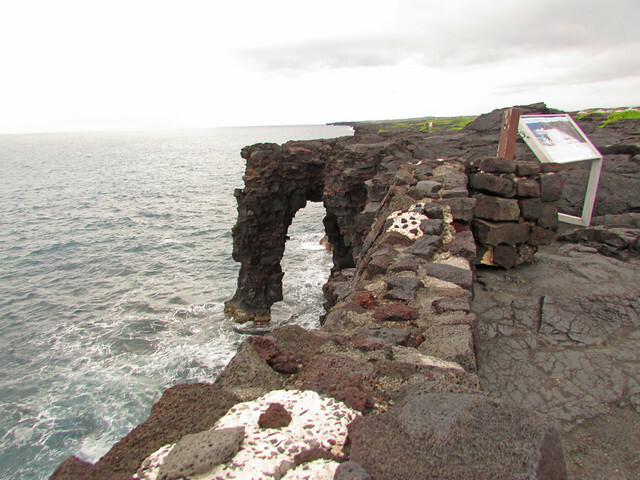 We visited it years ago on a family vacation, but I don't recall the lava cliffs or the arch. 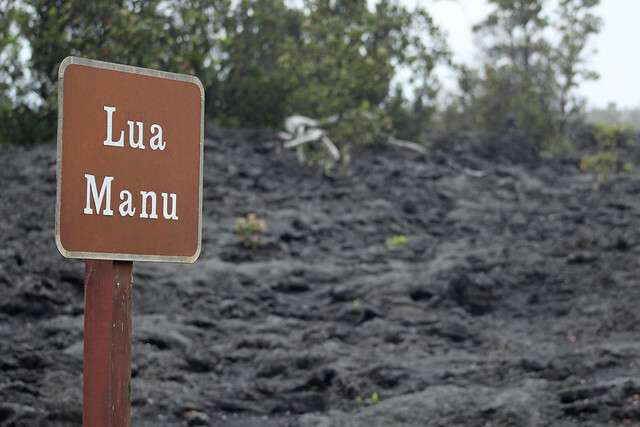 It might be with so much volcanic activity, the park is constantly changing! I enjoyed the post! Hello, it is an amazing place to visit. 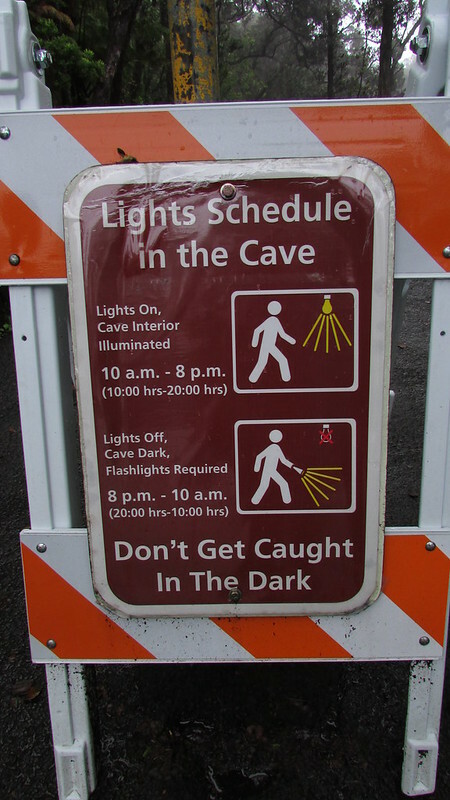 I have been to this park years ago, the lava tubes were cool. I love the coastline photos.Enjoy your day, have a great weekend! That's such a beautiful place. I have fond memories of my visits there. 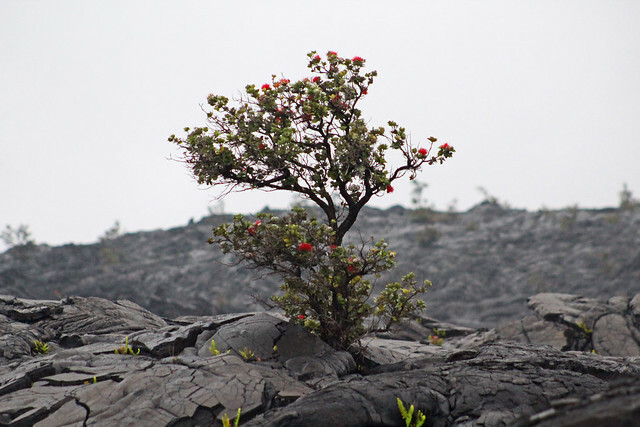 Wow, what amazing land/seascapes and vegetation on this volcanic area!